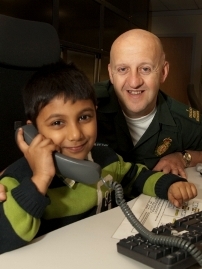 More than one million people across London who dial 999 will from now on see the care they receive judged on its quality, not just how quickly ambulance staff arrive to treat them. 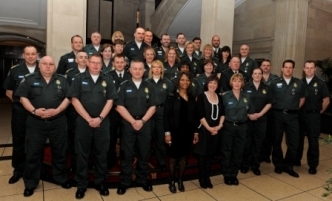 The London Ambulance Service has officially maintained a prestigious government award for customer service. 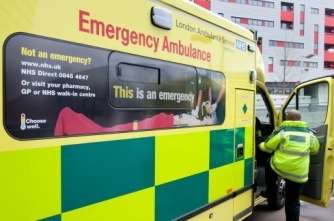 Ambulances in London are to start carrying a hard-hitting advert to remind the public of where else they can go for medical help before calling 999. 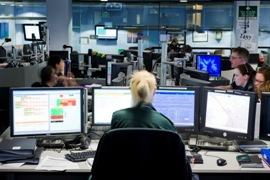 The work of the London Ambulance Service to reduce unnecessary 999 calls to homeless people who take shelter on buses has been praised by the Mayor of London. 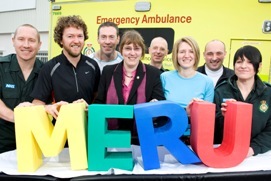 Members of London Ambulance Service staff are limbering up for the fundraising run of their life in April when they will be taking part in the Virgin London Marathon in aid of MERU. 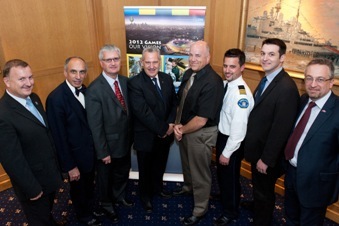 The London Ambulance Service welcomed guest speakers from Vancouver and Melbourne to its first national 2012 Games conference. 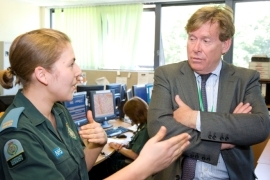 New Minister of State for Health Simon Burns MP paid a visit to the London Ambulance Service to hear first-hand from staff about their work. 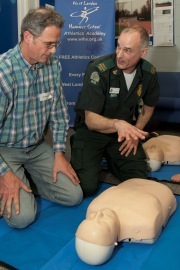 Long-serving members of staff and retirees who clocked up nearly a thousand years’ service in the country’s busiest ambulance service have been recognised at a ceremony. A schoolboy from Wembley has been recognised for his brave actions after he called for an ambulance for his mum. 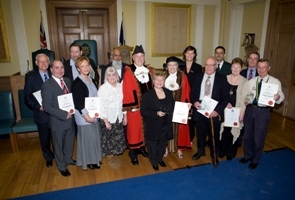 The Mayor of Kingston has thanked the London Ambulance Service staff who attended a fire in the borough last summer.